All the times Apple has publicly apologized to its customers. Tim Cook is very sorry. Apple’s recent apology for not telling customers it was slowing down old iPhones was widely characterized as “rare,” including by me. But just how rare is it for Apple to apologize? The company earned a reputation for defensiveness under founding CEO Steve Jobs. A lot of that probably stems from his famously prickly response to 2010’s “Antennagate,” in which customers complained of impaired reception in the new iPhone 4s, and Consumer Reports declined to recommend it. “There is no Antennagate,” Jobs sniped in a press conference, weeks after he had fanned the flames by telling a customer he was holding the phone wrong. It’s true that Apple’s apologies under Jobs tended to come grudgingly. Still, he did say he was sorry on multiple occasions over the course of his tenure—including, eventually, to customers affected by the iPhone 4’s antenna problems. And in the six years since Jobs’ death, Apple has struck a more conciliatory stance, apologizing at least a half-dozen times for various snafus. Three of those, including the Batterygate letter, have come in 2017 alone. Below is a list of some of Apple’s noteworthy apologies through the years. It’s not exhaustive—you’ll find a longer list in this 2012 InformationWeek article, for example, although that one includes some nonapologies as well. I’ve tried to focus on the ones that made headlines in their own right, as opposed to the times an Apple executive might have said “I’m sorry” as part of a casual aside at a launch event, or in a quote to a reporter. But with the help of LexisNexis, I was also able to dredge up a couple of early apologies that you won’t find in casual Google searches. Not included are the many cases in which Cupertino cagily let others take the blame, such as the time Bank of America apologized for its Apple Pay glitches or U2 apologized for, um, giving away its own music. In his first big speech following his triumphant return from exile, at the 1997 Macworld Expo, Steve Jobs made the easiest kind of apology to customers: the kind where you apologize for other people’s mistakes. Specifically, as part of a sort of “state of the company” address, he apologized for the company’s poor customer service, noting the long wait times on Apple’s customer-support line. “You’re going to be seeing changes,” he promised. Then-interim CEO Jobs said he was sorry for “upsetting and disappointing” customers when supply shortages in G4 chips delayed shipment of new Power Macintosh G4 computers that people had already ordered. Apple had compounded the problem by trying to cancel people’s orders and compel them to buy different, more expensive configurations. Now thoroughly in command of a booming company thanks to the iPod’s runaway success, Jobs took responsibility for a series of accounting irregularities between 1997 and 2002, some of which he had been aware of. “I apologize to Apple’s shareholders and employees for these problems, which happened on my watch,” he said. It’s easy to forget that the iPhone’s success was not a foregone conclusion. When it went on sale in June 2007, many complained that the $599 price for the popular 8GB version was too high. But when Apple slashed that price to $399 just two months later, the outcry from early adopters was even louder. Jobs responded with an open letter to those iPhone customers, defending the price cut but ultimately apologizing “for disappointing some of you.” The company offered the affected customers a $100 store credit. Remember how upset this phone made us? The most grudging, convoluted, and infamous of the Jobs-era apologies, this one cemented the company’s reputation for arrogance and defensiveness. Due to an apparent design flaw, customers discovered that holding the iPhone in a certain way caused their reception to drop from four or five bars to one or two. Apple insisted it was not in fact a design flaw, and that the real problem was simply that it had been miscalculating phones’ reception, even as it acknowledged that holding one’s finger over the antenna did indeed impair that reception. In the end, the company apologized to “those who have had concerns, for any anxiety we may have caused.” Which was a backhanded way of saying that the concerns were misplaced and Apple really did nothing wrong. Tim Cook’s first year as Apple CEO was a bumpy one, and this was a low point. 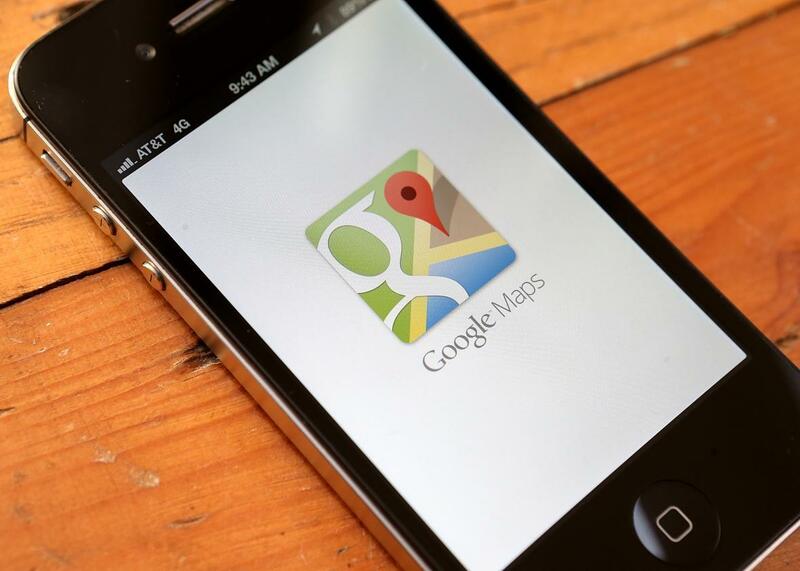 When Apple unveiled iOS 6, it replaced Google Maps with its own Maps software as the default navigation app, touting its turn-by-turn directions. For all its fancy feature, however, it immediately became clear that Apple’s maps were inferior in one crucial way: accuracy. In one infamous error, the app showed an airfield on the site of a farm in Dublin. 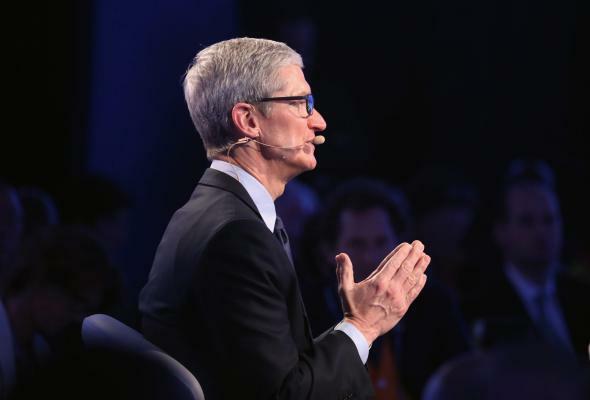 Apple’s apology stood out for its sincerity; among other things, Cook’s company admitted that customers might prefer going back to Google Maps while Apple worked on getting its act back together. And when Apple executive Scott Forstall refused to sign on to the company’s mea culpa? Cook canned him. Remember the time Apple’s software update broke a bunch of people’s phones? Apple’s rollout of iOS 8.0.1 will be remembered as an example of why it can be prudent to wait a couple days before installing a new system. The update was meant to fix bugs in iOS 8.0. Instead, it immediately prompted a flurry of fresh complaints of bugs with Touch ID and cellular service, leading Apple to pull the software within hours of its launch. “We apologize for the great inconvenience experienced by users,” an Apple spokesperson said. The company’s stock dipped briefly, but iOS 8.0.2 seemed to remedy the problems—and shareholders’ confidence. Note that this all came shortly after Bendgate—er, Bendghazi?—in which a few customers and bloggers complained that the oversize iPhone 6 Plus warped out of shape. Apple never did cop to that one, and the controversy soon fizzled. When a group of six black high school students were kicked out of an Apple Store in suburban Melbourne, Australia, for nothing but their race, even Apple couldn’t think of a defense for its employees’ actions. The store apologized to the students and Apple confirmed the apology, though the corporate headquarters didn’t add anything beyond reaffirming the company’s commitment to equality and inclusion. This one will probably be remembered for some time—not because what Apple did was so bad, but because it played right into a long-standing and conspiracy-prone complaint about its iPhones’ useful life span. As it turned out, Apple had perfectly defensible reasons for slowing down older devices. But “Apple admits it was secretly slowing down older iPhones” just doesn’t sound great no matter what the rationale. What resulted was in many ways the archetypal Apple apology, from the long-winded defense to the characterization of the problem as a “misunderstanding” to the part where it apologized for how people might feel, rather than anything it did. You can read that one here. Mistakes are inevitable for a company as large as Apple. And, as its leaders have learned, apologies are too. That they’re apparently becoming more frequent could be a sign that the company is losing its grip on quality control. Or it could just mean they’ve gotten better at fessing up.